Wayne Pendle is a Senior Manager with Leadership Strategies (LSI) — a firm specializing in providing clients with professional facilitators to lead sessions in strategic planning, process improvement, information needs analysis, and issue resolution. The organization also focuses on teaching leadership training classes in group facilitation, consulting, project planning, team building and management excellence. Wayne has 20 years of extensive technology, logistics, business and leadership know-how through his years as an Army officer and business consultant. His skills and expertise at understanding static processes as well as mastering the dynamic challenges of people has allowed him to influence a wide range of organizations – from Fortune 100 executives to leaders of start-up tech firms. He has developed a reputation for communicating in a practical, dynamic, and interactive manner. As an instructor, many have evaluated the training that Wayne presents as “the best course ever taken.” Those classes include The Effective Facilitator, The Facilitative Consultant, Masterful Meetings, Facilitation for Trainers, and The Seven Separators. His most recent project was to take LSI’s flagship course, The Effective Facilitator, and redesign and modify it into a 100% virtual course called The Effective Virtual Facilitator. 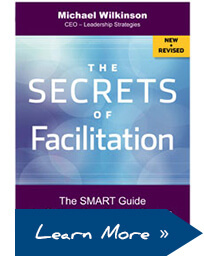 Not only it is taught virtually but the facilitation principles and best practices are skillfully modeled throughout the training. 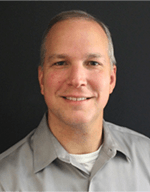 Wayne is a member and serves as current chairman of LSI’s Core Team Council. The purpose of this council is to provide a bridge between the leadership team at LSI and the Core Team Members (approximately 40) around the world. He has a B.A. in Psychology from Furman University, an M.B.A. and M.S. in Management from Colorado Technical University and is pursuing his doctorate in Organizational Leadership. He lives in Fairhope, AL with his wife and three children.